If you’ve ever wondered about starting your own podcast but didn’t know where to begin, this workshop is for you. Take two hours and come learn what it takes. We’ll walk you through the steps from choosing a subject, talking through delivery, recording, editing and producing. Time: 10:30 a.m. to 1:30 p.m. Requirements: Your own laptop (windows or mac) with Audacity, headphones, ideas for a podcast! 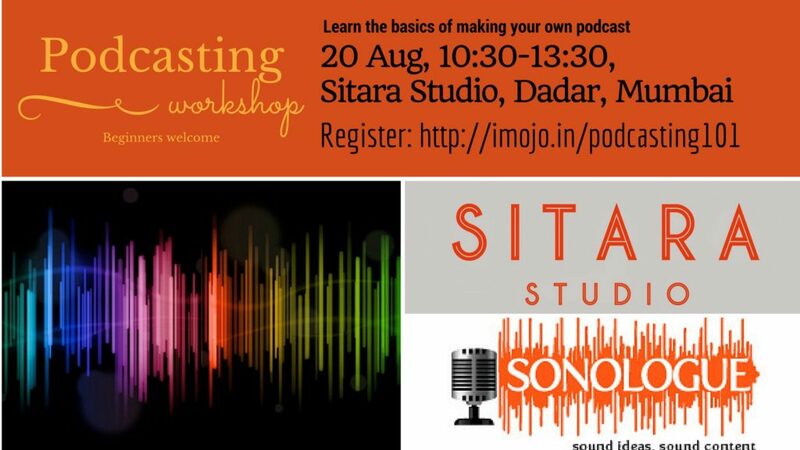 Registration is open now – visit www.inmojo.in/podcasting101 to reserve a spot and pay. To be notified of future workshops in Mumbai, Delhi and Bangalore, please add yourself to our notification list below.